August 9, 1999, will always be a special day for D-backs infielder Geoff Blum. On this date, the 26-year-old rookie made his Major League debut for the Montreal Expos after being drafted by the organization five years earlier. 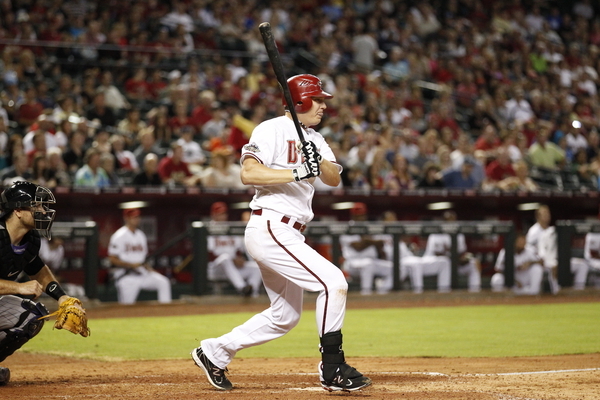 The D-backs received a veteran boost to their roster this week, when Geoff Blum was activated from the disabled list. The D-backs made a pair of roster moves just prior to the start of the second half of the season. First baseman Brandon Allen has been summoned from Triple-A Reno and veteran infielder Geoff Blum was activated off the disabled list. In each game Willie Bloomquist has played in this season, he has collected at least one hit. With a single in Friday’s contest against the Giants, Bloomquist extended his season-starting hitting streak to 10 games. It is currently the fourth-longest streak in the Major Leagues and sits in a tie for the franchise’s longest season-opening hitting streak. Steve Finley hit in 10 straight to open the season in 2000, and Danny Bautista opened with a hit in 10 straight in 2002. 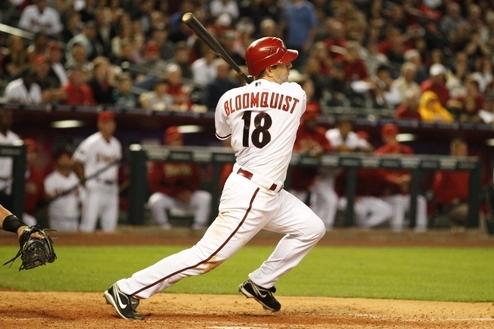 In addition to collecting 16 hits, Bloomquist has swiped seven bases, driven in seven and smacked three doubles while playing both shortstop and left field. D-backs infielder Geoff Blum is continuing to make advancements in his return to the active roster. 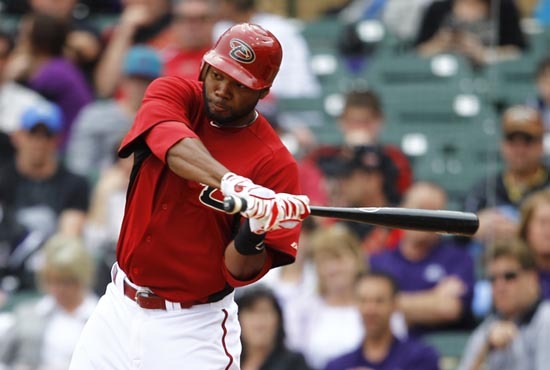 Blum, who was signed by the D-backs in the offseason, was placed on the 15-day disabled list in March. He has battled right knee inflammation dating back to Spring Training. 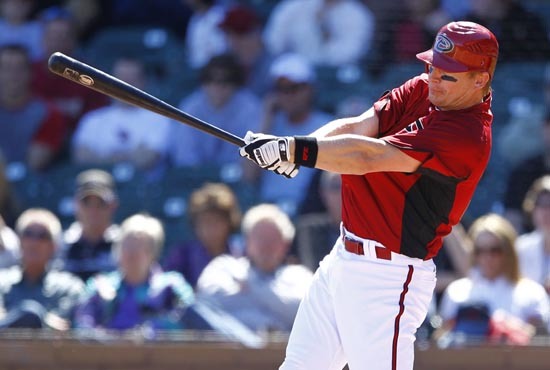 Blum has been playing in extended Spring Training at the D-backs spring complex Salt River Fields. He has been limited to DH, but is expected to play third base in the coming days. In non-game situations, Blum has been able to field ground balls, hit and do some light running. Although Blum continues to make progress, there is no definite timetable for his return. “It’s possible by the end of next week he could go somewhere and start a rehab,” Gibson said. Once he returns to the big league club, Blum figures to play an integral role off the D-backs’ bench. In his 12 year career, Blum has posted a .251 batting average with 468 RBI as primarily a role player. Since being recalled from Triple-A Reno, relief pitcher Esmerling Vasquez has looked good the D-backs. In two appearances, Vasquez has thrown 3 1/3 shutout innings. During that time, he’s struck out two and without walking a batter, while allowing only two hits. Gibson is among the many fans following the opening round of the Stanley Cup playoffs. With a win on Saturday, the Red Wings hold a 2-0 series lead as the series shifts to Glendale. The former Detroit Tiger used to have Red Wings season tickets, but gave them up when he moved to Arizona. Despite his former interest in the Red Wings, the skipper won’t take sides in this playoff series. With all position players now in camp, Spring Training workouts are in full swing for the D-backs. The third day of full squad workouts took place on Monday morning, and pitchers faced off against live hitters for the first time this spring. While pitchers get acclimated to the game environment, D-backs manager Kirk Gibson was unsure of who will pitch in Friday’s opening game against the defending world champion San Francisco Giants. 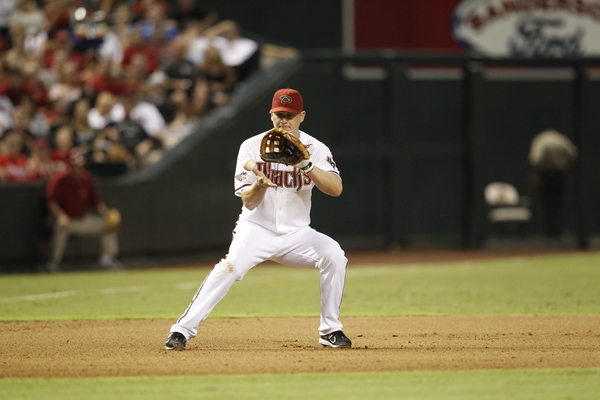 One of Kevin Towers’ first moves as new General Manager of the D-backs was to sign infielder Geoff Blum. Blum brings a strong veteran presence, and much needed experience to an Arizona roster that had a youthful look in recent years. While Blum is highly regarded as a role player off the bench, he is also in the midst of a position battle at third base. Gibson said that the influx of veterans is already paying dividends. David Hernandez is only a week into his D-backs career, but the right-handed hurler is excited to be a part of the new-look D-backs. Hernandez and fellow reliever Kam Mickolio were shipped from Baltimore to Arizona in exchange for Mark Reynolds over the offseason. Hernandez offered some insight on his longtime teammate Mickolio. Last season, Hernandez sported a 4.31 ERA in 79 1/3 innings of work. He also collected two saves with the Orioles, and will most likely serve as a late inning reliever for the D-backs. Towers added the two pitchers in hopes that they will revitalize a bullpen that was dreadful in 2010.